This is an archive of the events that took place at PROTOHOME between May and August 2016. 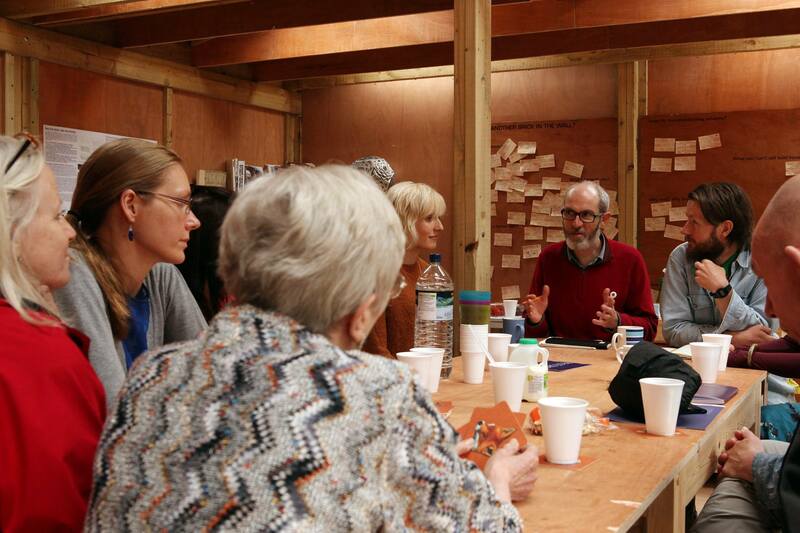 These events brought together people from different sectors and disciplines to examine issues to do with housing, homelessness, the politics of land and development and creative alternatives. With speakers: Prue Chiles (School of Architecture, Planning and Landscape, Newcastle University), Claude Hendrickson (Community Self-Build Agency), Helen Jarvis (Department of Geography, Newcastle University), Peter Kellett (Global Urban Research Unit, Newcastle University), Caroline Gore Booth (Giroscope), Duncan Roberts, Cath Scaife (Newcastle City Council) and the Crisis self-build group. With speakers: Adele Irving (Department of Social Sciences, Northumbria University), Sarah Johnsen (School of the Built Environment, Heriot-Watt University), Neil Munslow (Newcastle City Council), Andrew Burnip (Crisis) and Becky Elton (Changing Lives). With speakers Gary Anderson (The Institute for the Art and Practice of Dissent at Home), Michael Simon (Granby 4 Streets), Tatjana Schneider (School of Architecture, Sheffield University), Martin Zebraki (School of Geography, University of Leeds), Alan Dunn and Jeff Young. With speakers: Anna Minton (academic and Guardian journalist), MP Chi Onwurah (Newcastle Central), Peter Hetherington (writer and Guardian journalist), Alice Martin (New Economics Foundation), John Tomaney (Professor of Urban and Regional Planning at UCL), Anna Round (IPPR North), Clymene Christoforou (ISIS Arts), Ian Wylie (Editor, The Northern Correspondent) and Anja McCarthy (CURDS, Newcastle University).